Tool-making or culture, language or religious belief: ever since Darwin, thinkers have struggled to identify what fundamentally differentiates human beings from other animals. In this much-anticipated book, Michael Tomasello weaves his twenty years of comparative studies of humans and great apes into a compelling argument that cooperative social interaction is the key to our cognitive uniqueness. Once our ancestors learned to put their heads together with others to pursue shared goals, humankind was on an evolutionary path all its own. 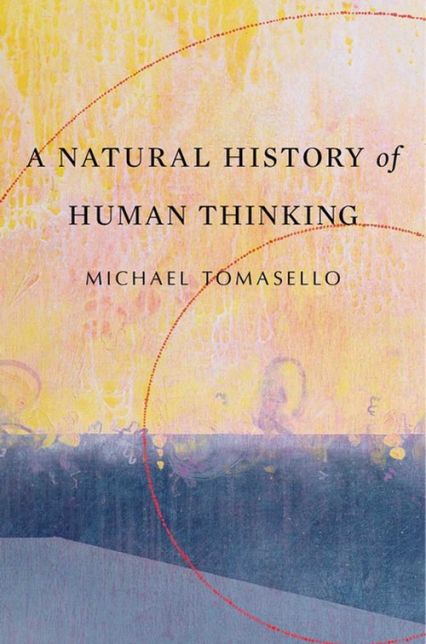 Tomasello argues that our prehuman ancestors, like today's great apes, were social beings who could solve problems by thinking. But they were almost entirely competitive, aiming only at their individual goals. As ecological changes forced them into more cooperative living arrangements, early humans had to coordinate their actions and communicate their thoughts with collaborative partners. Tomasello's "shared intentionality hypothesis" captures how these more socially complex forms of life led to more conceptually complex forms of thinking. In order to survive, humans had to learn to see the world from multiple social perspectives, to draw socially recursive inferences, and to monitor their own thinking via the normative standards of the group. Even language and culture arose from the preexisting need to work together. What differentiates us most from other great apes, Tomasello proposes, are the new forms of thinking engendered by our new forms of collaborative and communicative interaction. "A Natural History of Human Thinking" is the most detailed scientific analysis to date of the connection between human sociality and cognition.